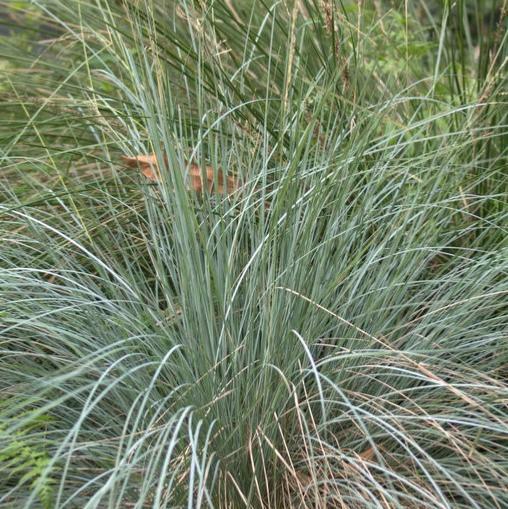 Poa labillardierei is an Australian native tussock grass that despite its origin seems to thrive brilliantly here in the UK. It produces large 1m mounds of steely blue hair like narrow foliage which then arches to the ground like a fountain from the centre of the clumps. Poa labillardierei also produces a succession of attractive upright silvery blue flower heads during the summer. 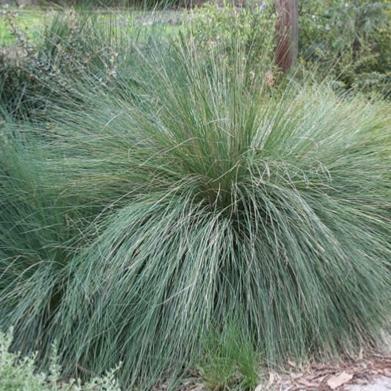 An idea specimen grass in a perennial border, or in more informal meadow style gardens. Thriving even in extreme drought, this grass requires a sunny open spot.